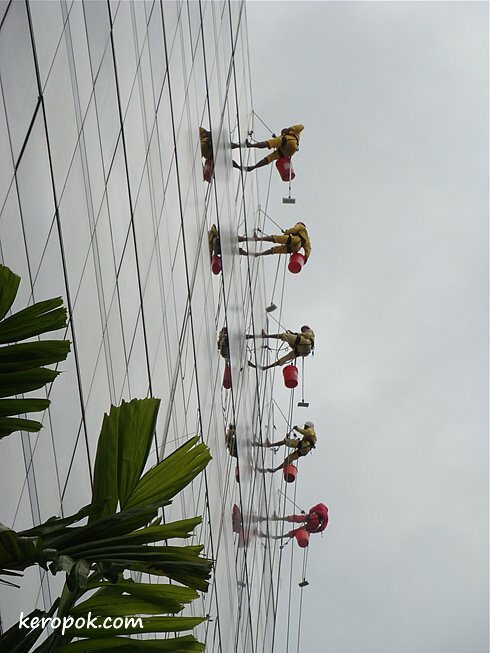 Seen when we were going for lunch today..
Cleaners cleaning the building exterior. I really like how you framed this photo, very simple lines. But this looks like a dangerous occupation. Excellent! Love this picture!!! It's impressive to watch window-washers on high-rise buildings. Here they are a little more comfortable and less acrobatic: they stand on a sort of basket. Great stunts! Nice shot from yr angle.